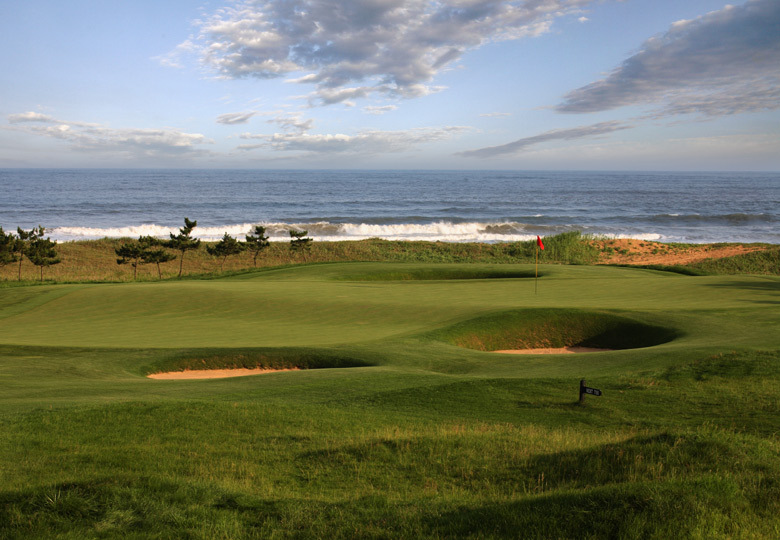 Situated an hour from Qingdao in north-east China, Tiger Beach is a refreshingly authentic looking modern links-style course carefully crafted by two devout links lovers from Taiwan. 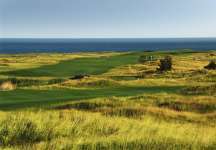 Set along the golden shores of the Yellow Sea, the course was conceived and designed by Beta Soong, a financial investor, real estate developer and avid art and antique collector with no previous golf design or construction experience. 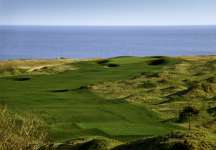 The site he selected for his links was a barren and isolated seaside property with pleasant sea views and a temperate climate, which was ideal for golf. Though not strictly linksland because of its heavy clay base and broader leafed grasses, Soong was nevertheless fanatical about creating a realistic experience complete with pot bunkers, raised greens, thick off-color roughs and natural looking ground movement. His course superintendent, Brad Chih, did an excellent job during construction and the strength of Tiger Beach is the believability of his shaping. Greens and surrounds are outstanding and protected by deep bunkers and nice collection areas that lead weak shots toward the well-placed hazards. 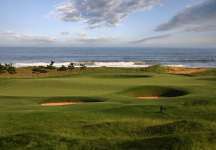 The internal green contours are quite intricate and offer a range of ground game options, while the driving zones are generally narrow and the fairways lined by small jumbled dune ridges not dissimilar to the softly contoured terrain of its sister course, Carnoustie in Scotland. Unfortunately the rocky water hazards are an unnecessary blight on the course, and aside from spoiling the links aspect they do not really help Soong’s design. Both the par five 8th and 14th reward those who play away from the water while the brutal 10th hole has a lake that totally cuts off the recovery option for a misplaced drive. The biggest criticism of the layout, however, is the continual north-south orientation of a back and forth routing where virtually every hole is either straight down or against the constant sea winds. Lacking the subtle directional shifts that typifies the classic British links, good players driving well here can really get into a groove and it is no coincidence that the best holes on the course, 12 and 13, are those where you change the direction of play. The difficult 12th is a long par three with a built up green played across the wind for the first time and the 13th is a tremendous short par four bending through some minor protruding dunes into an attractive green site. 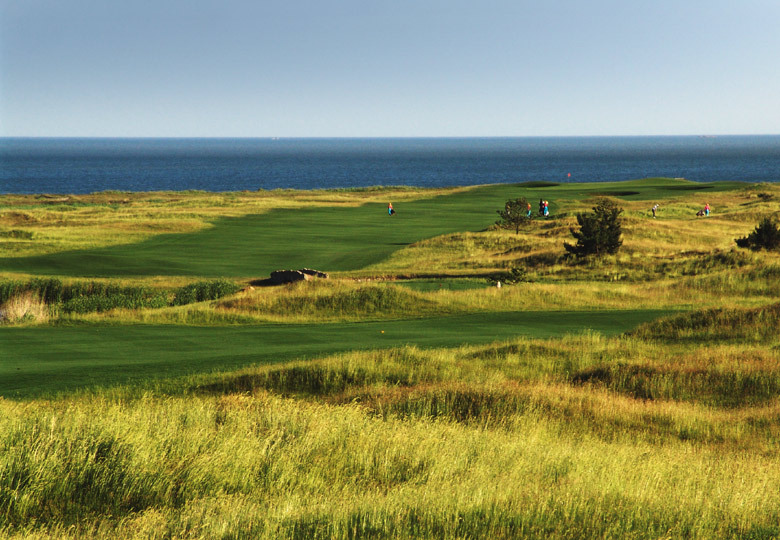 Elsewhere the individual quality of holes like 1, 2, 4, 6, 7, 15, 17 and 18, as well as the large number of terrific green sites, help the course overcome any routing problems it may have. One of biggest challenges facing Tiger Beach stems from the attitude of its mostly Korean clientele, who seem to associate lush green grass with quality golf and will not come to play if the course is too firm. This mindset unfortunately prevents the hard and fast conditions that the exceptional shaping of the layout deserves. Regardless of any frustrations with the softness of such a bouncy-looking course, the totally sculptured Tiger Beach Golf Links is a pretty special find in China and one of Asia’s rare modern gems.